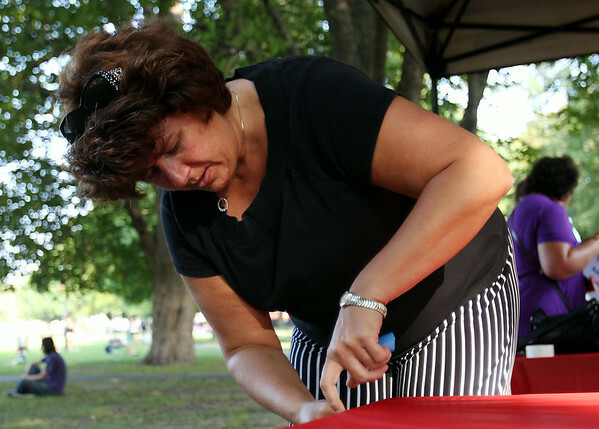 Elizabeth O'Hara, of Eastern Bank, tapes a plastic table cloth to a table while setting up for the Ice Scream Bowl on Salem Common on Tuesday afternoon. DAVID LE/Staff photo. 8/5/14.